If in your mind’s eye you see emergency room floors as immaculate and yet beautiful, then you are viewing them as being Silikal floors. 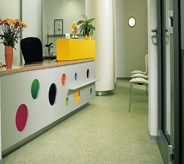 Emergency room flooring must be immaculately clean, lest microbes and bacteria begin to replicate in the seams of the flooring. 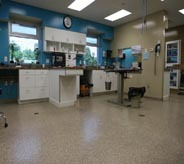 Floors found in an emergency room must be extremely easy to be cleaned properly and quickly. Close your eyes and imagine an emergency room. Now imagine the emergency room floors. Chances are you pictured gleamingly clean floors that were probably light in color so that they reflected as much light as possible enabling emergency personnel to be able to see what they were doing at all times, as that is critical in an emergency room. Your imagination may also have emphasized utter and complete cleanliness, devoid of any bacteria or germs that may enter into a patient’s body to cause havoc therein. You may even have imagined that the floor had many little specks all over it underneath the gleam, and thus the floor may well be more relaxing to those who need to relax. Perhaps your imagination worked overtime, and you saw blood being spilled, or even such things as iodine being spilled, and you wondered if it would thus stain the floor? If so, chances are either you work in an emergency room or you watch too much TV! Emergency room floors do need to be light in color, we’ve already covered that point but what about those spills? It is important for an emergency room floor to enable all spills to be cleaned up immediately without ever leaving any kind of stain, of course, and that leads us to discuss Silikal flooring utilized as emergency room floors. 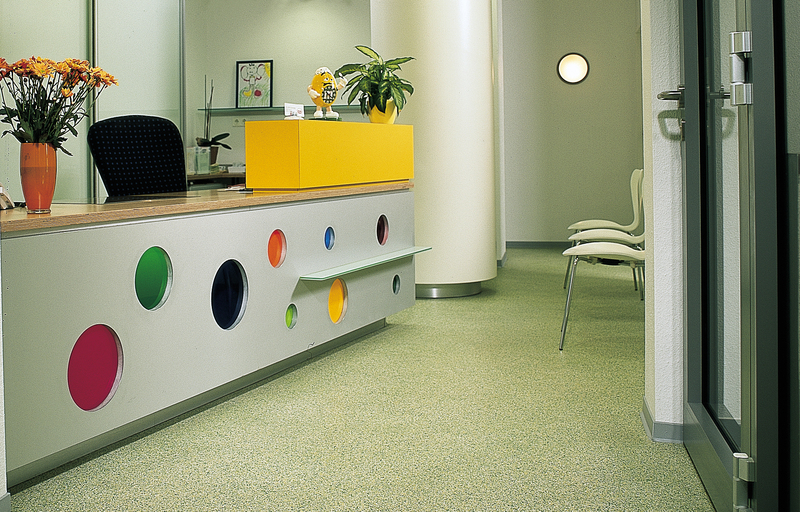 Silikal floors are extremely hygienic and a snap to keep clean besides being stain resistant. The reason is of course that they are all in one piece without any laps or crevices in them whatsoever. The reason is that they are completely sealed, so that absolutely nothing can get under them. Think about ceramic tile for a moment. All around that tile is grout. Grout is not sealed, thus germs and bacteria can have a heyday under those floors via their entry through the grout. That is why Silikal floors are hygienic as nothing can get under them. That was worth repeating. Further, Silikal floors can be kept antiseptically clean thus preventing infections from arising in a locale where microbes seem to thrive unless maintained properly. Then too in order to keep everyone as safe as possible, patients and emergency room workers as well, Silikal flooring is also non-slip. That is extremely important in an emergency room, as we have already detailed that it’s a place of spills. 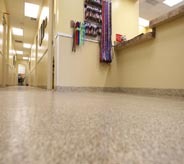 In addition, emergency room floors must be able to sustain high traffic. Not only are gurneys being brought in rapidly and out just as fast, large equipment is often moved from examination portal to the next. Doctors and nurses both also move their chairs on rollers back and forth as needed, and even when patients are brought in on stretchers, often they are followed in by many family members. Thus an emergency room floor is a high traffic area. Silikal is the most durable wearing flooring known to man, thus even in an emergency room its life cycle will be incredibly long. In fact, Silikal floors are said to last a lifetime.